Brewers n Packers: Packers Lions Who Wins! It's pretty clear now the Packers are not playing to win! or maybe they are and think benching a bag full of starters is a win even if they lose! by resting there starters, we Packer fans do think the Packs depth is second to none, in my opinion! Mike McCarthy will pull a few tricks out of that bag, I expect to see different looks on both sides of the ball, throwing a little meat out there to get the hungry Lions to take the bait! Matt Flynn will take over for Rodgers early, I look for Flynn to play well enough to showcase himself as a starter somewhere else next year! the Packers have had how many? QB's, go on to be starters in the NFL, enough said. Clay Matthews & Charles Woodson are listed as Questionable. Jennings, Starks, Cobb, Out. I guess we will see who can play, and who wants to Sunday. Go Packers!! Lions have allot to play for, the #5 seed, and to get the 20 year losing streak, at Lambeau field off there back! Time for a Prediction! 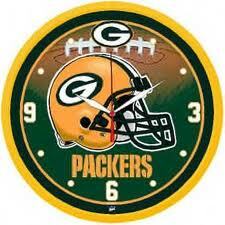 I say Packers 27-21.
a victory over the defending Super Bowl champion Packers would give the club the No. 5 playoff seed and a presumably less-strenuous road date with the NFC East representative, either the New York Giants or Dallas, next weekend.